As of 12:01 am, the dead period began meaning no coaches can be on the road or conduct in-person visits. With national signing day just 48 hours away there will be a lot unfolding for the Huskers as there are a number of prospects the staff has a legitimate chance of landing. The 2018 class currently sits at 19 prospects and Nebraska could take as many as eight more if things broke the Huskers' way. We can see the light at the end of the tunnel for the 2018 recruiting cycle. >>On the final visit weekend before NSD, the Huskers hosted five official visitors. 3-star OT Willie Canty‍, 4-star WR Andre Hunt‍, 3-star DT Otito Ogbonnia‍, 3-star CB Ken Montgomery‍ and 3-star RB Maurice Washington‍ all made their official visits to Lincoln. Coming into the weekend, I predicted that Washington, Canty, Hunt and Montgomery would all end up in the class. I see no reason to back off that now. After talking with Canty yesterday, I like the Huskers chances with him. The Huskers improved their chances with Hunt, Ogbonnia and Montgomery over the weekend as well. The most talked about visitor of the weekend, Washington, looked to enjoy his trip as well. >>As it stands now, Nebraska will be involved with eight signing-day announcements. That’s a lot of potential excitement for fans to be able to handle. 4-star OLB Caleb Tannor‍ announced Monday morning he will be one of the first to sign at 7:45 am (all times central). 3-star CB target Taiyon Palmer‍ will announce at 1:30 pm. Over on ESPN, 3-star RB Maurice Washington will make his decision public live on TV around 1:45 pm CT. Four-star OLB Javontae Jean-Baptiste‍ is scheduled to make his decision at his school at 7:00 am. Three-star OL Jarrett Bell‍, 3-star OT Willie Canty, 4-star WR Andre Hunt, 3-star DT Otito Ogbonnia and 3-star CB Ken Montgomery will also all make announcements on signing day. >>Right now there is a real buzz around how the Huskers will finish the 2018 class. If the optimism ends up turning into results, Nebraska could see a finish unlike other years in recent memory where they were left missing on their top targets. 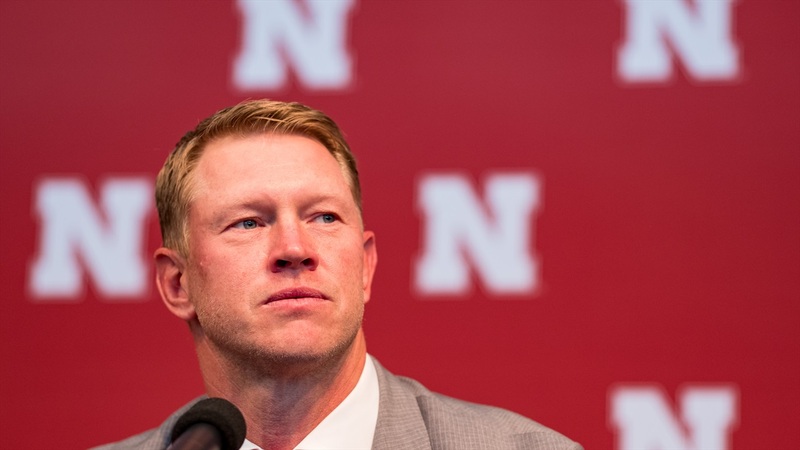 If Nebraska lands five-to-eight of its top targets as the staff expects, it will be one of the big stories of signing day, and the new staff would have done a remarkable job considering this year is a “transition” class. >>As we wrap up 2018, we can’t forget the class of 2019 because recruiting never really stops. Over the weekend, I caught up with 4-star QB Jayden Daniels‍ who just may be the top QB on the west coast for 2019. He sees a fit in Nebraska’s offense and his gaudy 2018 stats (5,139 yards passing and 62 touchdowns, 1,292 rushing yards and 15 more scores) has a lot of coaches paying attention to him.